Part photographic exhibition, part performance, part musical experience The Loneliest Number invites audiences to contemplate what it means to be surrounded but alone. Featuring a live band as well as the classical music of Beethoven, Schubert and Mozart, audiences are immersed in the worlds of eight distinct characters and reflect on the beauty in the everyday. Funny and evocative, sad and salacious, these tales of the ordinary will give audiences an insight into the secret truths of the every-person. Band: Mark Storen, Tom Garvey and Holly Garvey. Come early for a BYO gallery picnic. Art On the Move is Western Australia’s only organisation dedicated to touring contemporary visual art exhibitions across the regions, interstate and beyond. 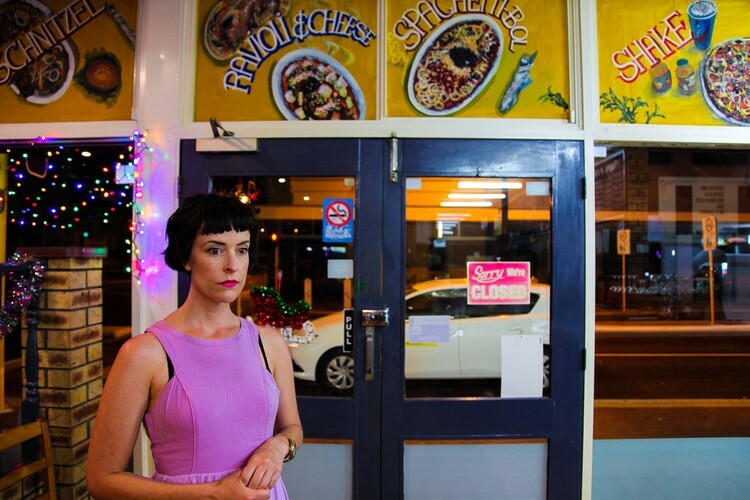 Since relocating to Fremantle in 2018, Art On the Move offers its spaces to artists to develop new work. Whiskey & Boots are our inaugural resident artists, and have developed The Loneliest Number at our Beach Street Gallery over two periods in August 2018 and April 2019. Supported by the Department of Local Government, Sport and Cultural Industries. Image Credit: Whiskey & Boots, The Loneliest Number. Photography by Holly Garvey.